BT Sport this weekend conducted a world first by broadcasting, live, the UEFA Champions League Final using High Dynamic Range (HDR) technology in Ultra-High Definition (UHD) with Dolby Atmos® sound at a private screening in London. The match was also available for the first time ever in Virtual Reality to fans. The milestones are part of a series of innovations led by the broadcaster in conjunction with partners across the televisual and technology sectors. The UEFA Champions League final on BT Sport used the latest broadcast technology, giving viewers the best pictures and the best sound experience available, with the game available for the first time in 4K UHD on YouTube and 4K UHD with Dolby Atmos sound on BT TV. HDR: High Dynamic Range (HDR) increases picture quality by preserving details in the darkest and brightest areas of a picture and allows for more natural, true-to-life colours that are closer to how we see them in real life. BT Sport developed some of the first ever live workflows for the demonstration of the live coverage of the weekend’s final. Virtual Reality: BT Sport gave away free Virtual Reality (VR) Google Cardboard headsets to football fans ahead of the game. For the first time ever the UEFA Champions League final was available through a number of 360°streams via YouTube and also in a new BT Sport Virtual Reality App which allowed viewers to choose between a 360° produced programme with commentary and graphics, or select their own camera viewpoint* and all for free. 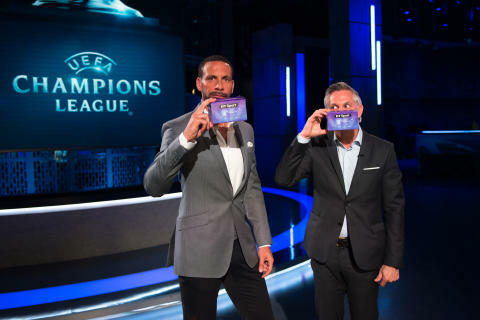 Free: BT Sport once again made this season’s UEFA Champions League and UEFA Europa League finals available for free to as many people as possible, on YouTube, the BT website, BT Sport channels and the app, underlining BT’s commitment to make televised sport more accessible to fans. Jamie Hindhaugh, chief operating officer, BT Sport, said: “This weekend’s broadcast was a big step forward for the industry: from a live production perspective we are now declaring ourselves HDR ready. Our ambition is to deliver the very best pictures and sound and we will be looking at how we can deliver HDR as a core proposition. Arena: using its state of the art IP UHD truck OBX, Arena worked with BT Sport on two world firsts in preparation for this weekend: simulcasting in UHD and HD over an IP backbone, plus live coverage of the Premier League and the FA Cup in Dolby Atmos. Axon’s Synapse signal processing technology was deployed by BT Sport to streamline its 4K production setup. BT Media & Broadcast: the National Stadium of Wales, host to this weekend’s clash, joined BT Media & Broadcast’s Terabit next-generation fibre-based TV Outside Broadcast network which links football grounds across the UK to BT Tower and transports HD video uncompressed from venues to production hubs. BT Sport Engineer & Innovation team: created the technology strategy to bring together the technical innovation supporting BT Sports editorial ambition to be at the heart of sport; creating the industry facing conduit for collaboration. BT Sport and Dolby are planning to extend their co-operation to conduct VR and HDR proof of concept demonstrations. A proof of concept live broadcast in professional quality-based HDR and Dolby Atmos was transmitted into Dolby’s Soho screening room with technology supplied by Ateme and Broadcom. While in Cardiff, Dolby supported BT with proof of concept demos of live VR Sport with immersive Dolby Atmos audio. Ericsson provided a playout of the BT Sport channels in UHD and HD and also supported BT Sport with a wide range of activity including supplying a free to view 4K simulcast of the final to YouTube Atmos and UHD with Dolby Atmos on BT TV. EVS’ XT4K live production servers were on-site in Cardiff to ingest UHD-4K camera feeds to help create compelling live slow motion replays. 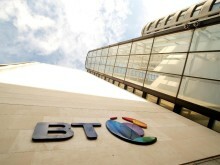 In addition, BT Sport made multi-angle replays available to subscribers of its mobile app through EVS’ cloud-based C-Cast content distribution platform. LiveLike develops the VR platform that supported the BT Sport VR app during the match, providing solutions allowing fans to choose between different 360 camera angles or a live “director’s cut” which automatically moved between vantage points around the stadium.Livelike previously provided the solution behind BT's VR broadcast of the Arsenal vs. Chelsea match in September 2016. MOOV has developed a range of software and apps to support BT Sport’s VR offering such as driving 4K VR graphics and its MOOV360 Commentator app which provides the user with a live VR feed without the need of a VR headset. Nokia: UEFA conducted a 12 camera VR shoot – the biggest ever for a live VR stream according to Nokia - utilizing Nokia’s OZO Live and OZO+ live VR broadcasting solution. SAM helped BT Sport to premiere the world-first UHD HDR full scale production with Kahuna’s FormatFusion4. Kahunas and Kula were also deployed across Cardiff, Stratford and Soho to provide HD and UHD productions and transmission. SAM’s Livetouch replay solution forms part of BT Sport’s overall VR activity. Sony supported the live HDR production with its SR Live for HDR workflow. BT Sport’s 4K and HDR content utilised a range of Sony UHD/HDR tools, such as established HDC-4300 cameras to specialist equipment. Telegenic provided four trucks in Cardiff covering four feeds including HD, 4K and HDR following the successful delivery of more than 130 live simulcast HD/4K productions for BT Sport this season.